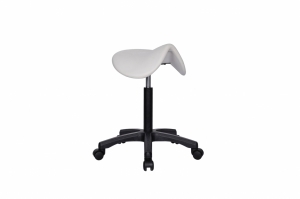 Saddle Stool | Occasional Chair | Seats | Product | FiC Co. Ltd.
Long duration of sitting might lead to muscle strain. The unique design of Saddle Stool would let sitter sit properly, and could easily changing sit & stand position. And the gaslift fit for different height of sitters.